As a conservative young citizen of the United States of America, I believe that NATO needs to change. After researching evidence and articles from both sides of the NATO discussion, I stand strong on my belief that getting rid of NATO would benefit the United States. The U.S. spends too much money and resources on NATO. We could build our military up and better our country. There are no direct threats to the U.S. that constitute our involvement with the organization. 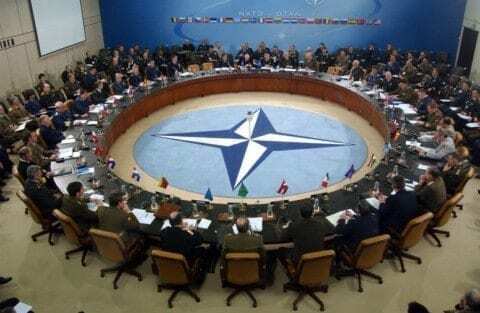 When looking into both sides thoroughly and taking into consideration the other side’s point of view, the reasoning to stay with NATO is not enough to overshadow the reasons to end our connection with the alliance. Some believe that NATO is still needed. They say that the good outweighs the negative benefits even the financial cost to our country. Bruce Fein, an American lawyer who focuses on international and constitutional law states the U.S. pays 75% of NATO’s budget which doesn’t include paying our U.S. NATO troops. Nicholas Clairmont, a fellow at The Atlantic, says that NATO is “the most successful alliance in human history.” This sounds believable until you start digging deeper, because you start to see all the money we are spending and countries we protect that mean nothing to the United States . NATO has put the U.S. in countries like Estonia, Latvia, and Lithuania that don’t mean anything to the United States and can’t offer anything to the U.S. The Baltic States are a buffer zone between Russia and other parts of the world but they provide nothing more than that. The U.S. pays most of the budget and provides most of the troops to protect other countries assets. The agreement for NATO is every country has a pay 2% of GDP and the U.S. pays 3.61% and the next closest ones are Greece, Britain, and Estonia, which are paying just over 2%. This shows that the U.S. is paying more in NATO than anyone else. We could spend the money else where, where we need it. The U.S. is facing great threats since the Cold War due to the “perilous security environment in Europe.” said by Bruce Fein. This quote itself, points out that NATO has caused the U.S. to be involved in unnecessary issues across the globe. For example the only conflict we have with Russia is threw Europe. This is why if we got out of NATO we wouldn’t have as much conflict with other countries. We have “a strong alliance mainly because we have to defend ourselves.” pointed out by Ivo Daalder. The U.S. is not defending themselves when they send their troops overseas to protect smaller countries whose well being has little or no effect on the U.S. It is not worth our time anymore because its cause to much drama between countries, the U.S. doesn’t need to fix everything for other countries. Nicholas Clairmont provides information regarding to who pays the NATO budget. He states that the U.S. pays only 22%. But, when investigating this information, The Economist shows charts that reflect the fact that the U.S., indeed, pays the majority of the NATO budget contributing 3.61% of the U.S. GDP (Gross Domestic Product). Then Fein has a chart showing the U.S. pays 75%. It appears that the U.S. is contributing more than our fair share into the NATO budget, So when the opposing side say we don’t pay enough in NATO they are wrong. The opposing doesn’t have the right facts to back up their argument. A writer from Boston Globe, Stephen Kinzer points out NATO was of help during the Cold War but it s not longer suited for the 21st century. With the U.S. getting out of NATO it would help us put aside our conflict with Russia and help the U.S. but it’s self back up. If we were to stay with NATO we need to change how much we pay in and change how we pay the U.S. soldiers. Bernie Quigley asking the question why NATO still exists after 70 years. Bandow talks about how protecting the Baltic States increases the risk of nuclear war. In addition, LoGiurato presents that Trump wants changes to be made to NATO or for the U.S. to withdraw all together. This really helps me point out that NATO is out of date and needs changes possibly even get out of NATO. Withdrawing from NATO or making big changes would be in the best interest of the United States. This would be beneficial because we could rebuild our military for ourselves. Also, with not having the expense of paying the NATO budget, the U.S. would have more money to put toward our national debt. NATO by Dustin is licensed under a Creative Commons Attribution-ShareAlike 4.0 International License.